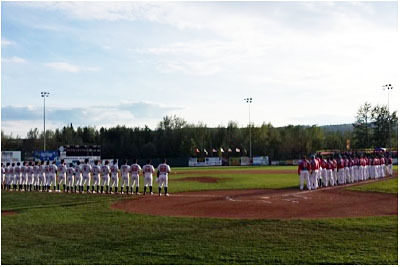 The third edition of the 2013 World Baseball Challenge in Prince George, B.C., Canada features tremendous parity with Team Canada, USA, Cuba (Ciego de Avila Tigers from their National Series), the Chinese Taipei National Team, and the Japanese Intercity League champion team JX-Eneos of Yokohama, who defeated Toshiba-Japan (2011 Japan representative) by a score of 7-1 en route to the “Industrial League” title. Will USA return to the champions role? Will Cuba repeat? Will Japan or Chinese-Taipei, or the host Canadians, come out on top? Having USA and Cuba in the same tournament is exciting on its own, but Chinese Taipei, Japan and the host Canadians will definitely have something to say about things before the trophy is awarded. *Rotary Day at the Park – Downtown Rotary Club and Nechako Rotary Club have purchased a ticket for every PG Youth Baseball Association member for the day, claim the pass at the gate!